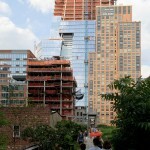 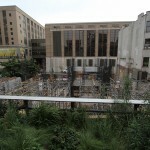 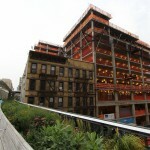 Lalezarian’s unique site encircles the High Line in three contiguous parcels fronting West 28th Street, 29th Street, and Tenth Avenue. 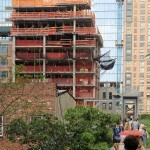 The project’s unusual configuration is a result of the elevated railway slicing the 45,000-square-foot lot in half, and five stalwart walk-up buildings (three along Tenth Avenue and two fronting West 29th Street) further fragmenting the plot. 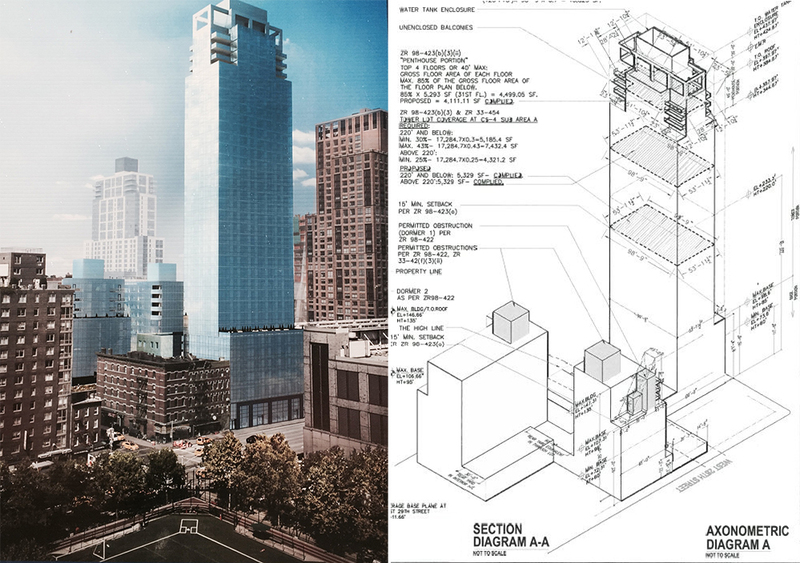 The 2005 West Chelsea Rezoning allows owners of property underneath the High Line to transfer their development rights to neighboring parcels, which enabled Lalezarian to construct a taller-than-usual high rise along the avenue. 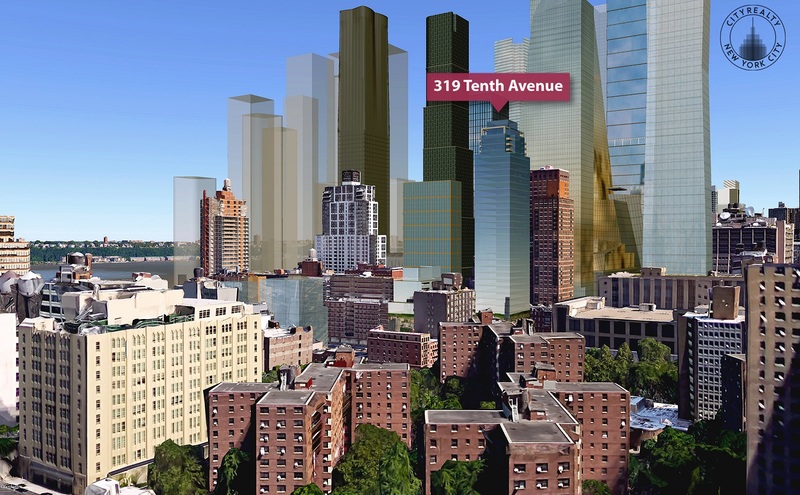 The C6-4 zoning district, provided for the neighborhood’s two northernmost blocks that include this project site, allows for towers of unlimited height along the avenues; though above 220 feet they are confined to a maximum width of 150 feet to ensure slenderness. 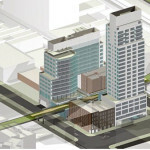 A large project has been in the works for the lot since at least 2006, when renderings by Kevin Kennon Architects and later Lee Harris Pomeroy Architects, surfaced showing similar multi-building schemes straddling the High Line. 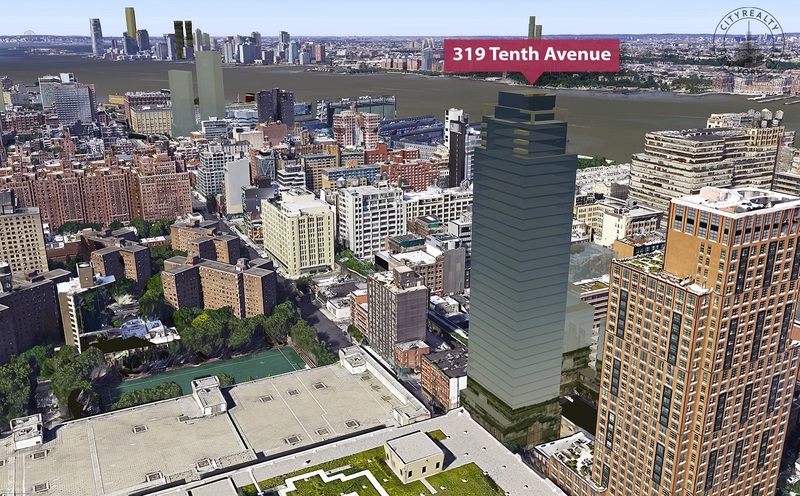 The ultimate design, penned by Avinash K. Malhotra Architects, creates two 13-story mid-block buildings west of the High Line and a 35-story tower at the southwest corner of Tenth Avenue and 29th Street. 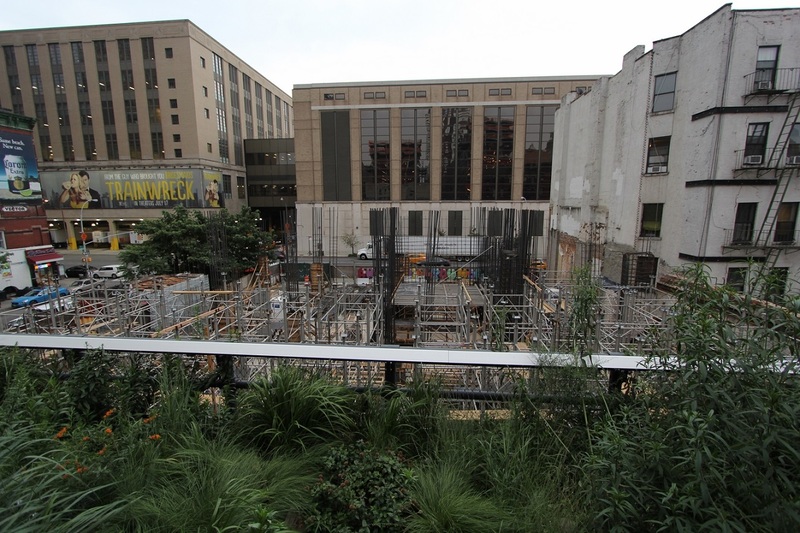 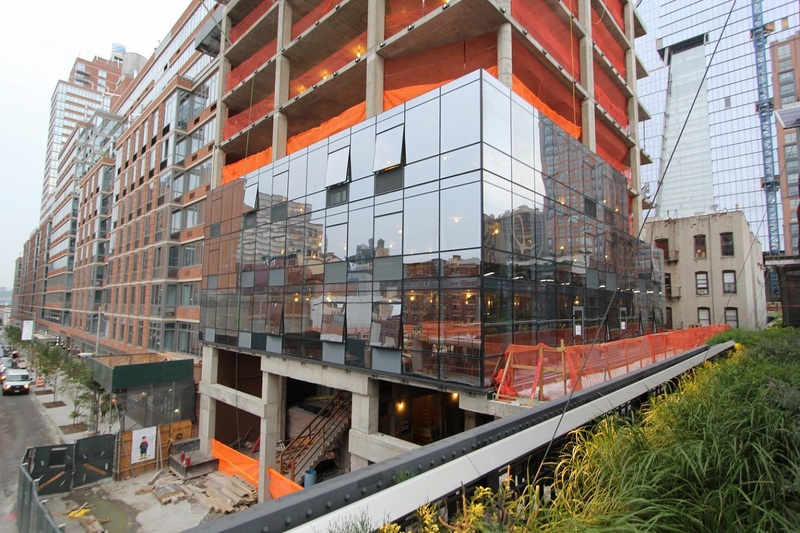 With completion aimed for 2016, Lalezarian’s development will contain 300 market-rate rental units in all with retail along each of their ground levels. 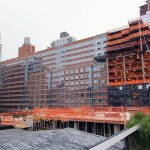 Seventy-five affordable units will also be provided upon receiving $165 million in financing from the state Housing Finance Agency in 2013. 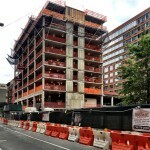 During West Chelsea’s rezoning’s approval process, affordable housing advocates fought hard to guarantee 27 percent of all new housing in the to district be affordable, utilizing a variety of city programs. 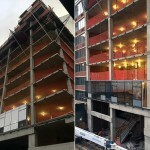 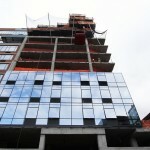 The development’s shorter mid-block buildings are nearly topped out, and slick reflective glass is already cladding the southernmost structure’s lower levels. 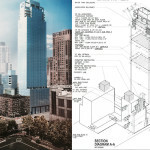 Construction of the taller tower has only recently reached street level, and once topped out it will rise some 50 feet higher than the neighboring Abington House. 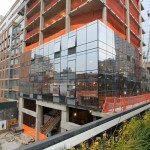 Amenities will include on-site parking, a pool, fitness center, lounge, and a common roof-deck overlooking the High Line. 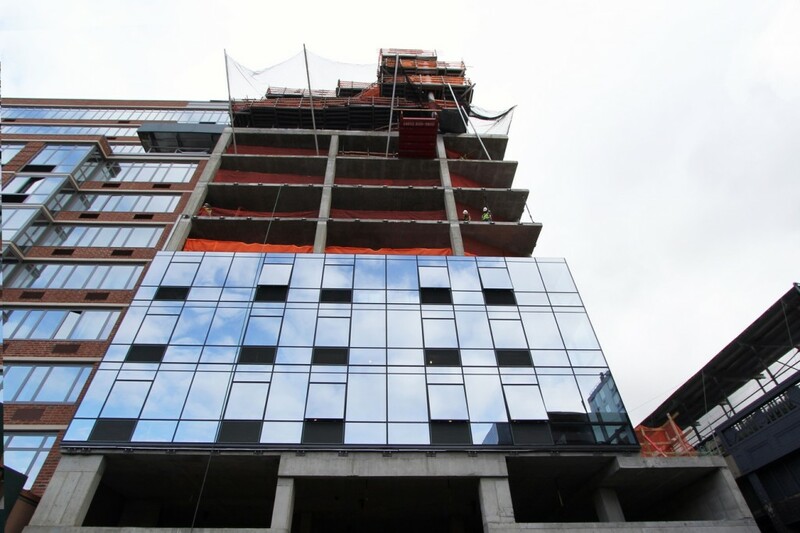 While Lalezarian’s development features little of the architectural bravado customary to most High Line developments, it will overlook lots of eye candy with immediate neighbors like Zaha Hadid’s 520 West 28th Street, SCDA’s Soori High Line, and 515 High Line. 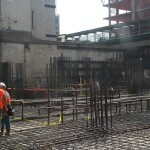 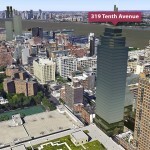 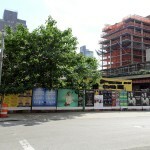 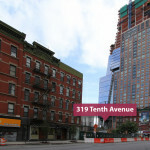 Stay up to date on 319 Tenth Avenue here.